Philadelphia coach Doug Pederson proclaimed his appreciation for his “Lord and savior Jesus Christ” after the Eagles’ Super Bowl LII win over the New England Patriots. The Eagles beat the Patriots 41-33 Sunday night. In a center-stage interview following the win, Pederson responded to a question about what it was like to rise from a high school football coach to coaching an NFL team that ultimately won the Super Bowl. “How do you explain this, that nine years ago you’re coaching in high school and here you are with this trophy?” NBC’s Dan Patrick asked Pederson after the win. Super Bowl LII was the championship game of the 2017 season of the National Football League (NFL), the 52nd Super Bowl overall, and the 48th of the league’s modern era. The National Football Conference (NFC) champion Philadelphia Eagles defeated the American Football Conference (AFC) champion and defending Super Bowl champion New England Patriots, 41–33, to win their first Super Bowl. 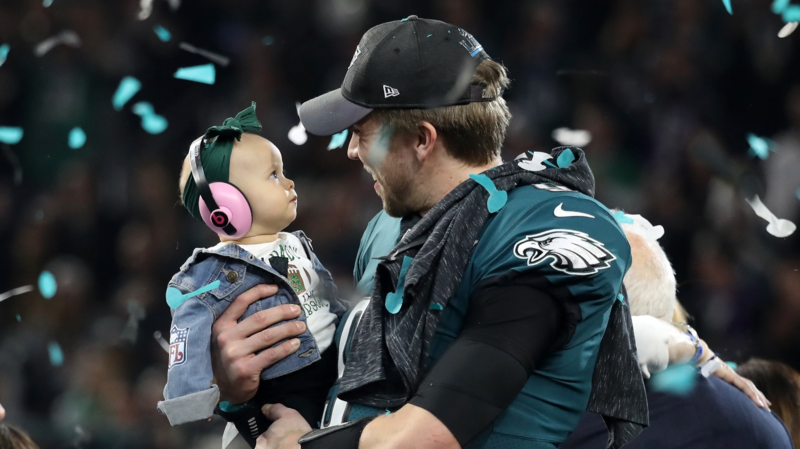 Eagles quarterback Nick Foles, who completed 28 of 43 passes for 373 yards and 3 touchdowns with 1 interception, and caught a 1-yard touchdown pass, was named Super Bowl MVP. The game was held on February 4, 2018, at U.S. Bank Stadium in Minneapolis, Minnesota, United States. It was the second Super Bowl in Minneapolis, which hosted Super Bowl XXVI in 1992. It was the sixth Super Bowl in a cold-weather city, and marked a return to the northernmost city to ever host the event. The Patriots were the first team to appear in consecutive Super Bowls since the Seattle Seahawks in Super Bowls XLVIII and XLIX, which the Patriots also appeared in. Denied a record-tying sixth Super Bowl victory, New England instead joined the Denver Broncos with a record-tying fifth Super Bowl loss. Douglas Irving Pederson (born January 31, 1968) is an American football coach who is currently the head coach of the Philadelphia Eagles of the National Football League (NFL). He served as the offensive coordinator of the Kansas City Chiefs from 2013–2015. He spent most of his playing career as a member of the Green Bay Packers, serving as a backup quarterback to Brett Favre and holder on placekicks, and winning Super Bowl XXXI with the team over the New England Patriots. He was also a backup to Dan Marino as a member of the Miami Dolphins, and a starting quarterback for the Eagles and Cleveland Browns. In his second season as the Eagles’ head coach, Pederson won Super Bowl LII (also against the Patriots), marking the first Super Bowl title in franchise history. He also became just the fourth person, after Mike Ditka, Tom Flores and Tony Dungy, to win a championship as both a player and coach. Pederson originally signed as a rookie free agent by the Miami Dolphins on May 1, 1991, out of Northeast Louisiana University (now University of Louisiana at Monroe) in Monroe, Louisiana. Pederson worked out for the Green Bay Packers following week 10 in 1995, due to a season-ending injury suffered by backup Ty Detmer and a minor injury sustained by starter Brett Favre. Third-string quarterback T. J. Rubley was forced to play in week 10 and threw a game-ending interception after calling an audible, going against head coach Mike Holmgren’s playcall. 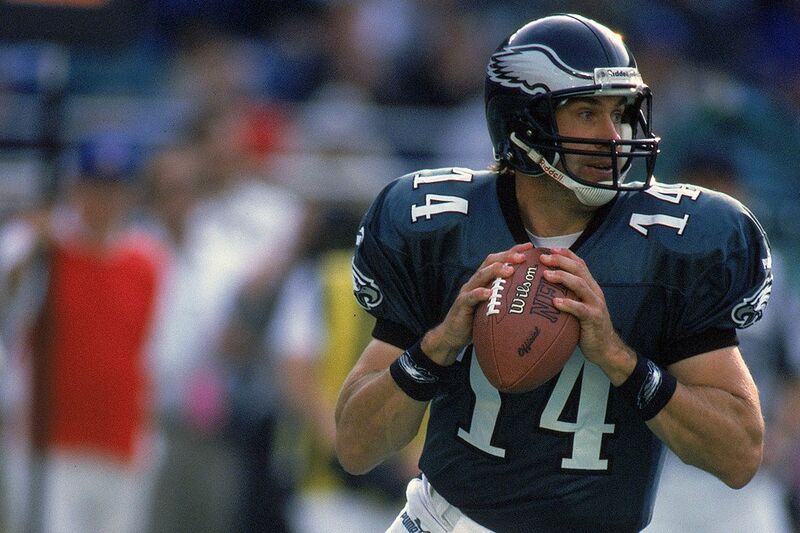 Pederson signed a three-year, $4.5 million contract with the Philadelphia Eagles on February 18, 1999, to become the team’s starting quarterback under new head coach Andy Reid, who was Pederson’s quarterbacks coach in Green Bay from 1997–1998. Pederson considered retirement after being released by the Eagles, but instead signed a two-year contract with the Cleveland Browns on September 2, 2000. The Packers re-signed Pederson to a one-year contract on March 13, 2001, to replace backup Matt Hasselbeck, who was traded to the Seattle Seahawks. Pederson was the primary backup to Favre for the entire 2001 season, and was the primary placekick holder in every game. He was re-signed to a one-year, $650,000 contract with the Packers on April 2, 2002. Pederson again was the backup quarterback and primary holder in all 16 games in 2002. On January 18, 2016, Pederson was hired as head coach of the Philadelphia Eagles replacing Chip Kelly. Despite having Sam Bradford on the roster as the starting quarterback, the Eagles drafted Carson Wentz with the second overall pick in 2016, similar to what the team did in 1999 by drafting Donovan McNabb when Pederson was the starting quarterback. Right before the 2016 season began, Bradford was traded to the Minnesota Vikings and Wentz was named the starting quarterback as a rookie. Pederson and Wentz won their first three NFL games together, but finished the season 7–9, missing the playoffs. His 2017 season was much more successful as he led the Eagles to their first Super Bowl win in franchise history. In addition, under his leadership the Eagles held their first winning record since the 2014 season, their first division title and playoff appearance since the 2013 season, their first playoff victory since the 2008 season, and an appearance in the Super Bowl for the first time since the 2004 season. 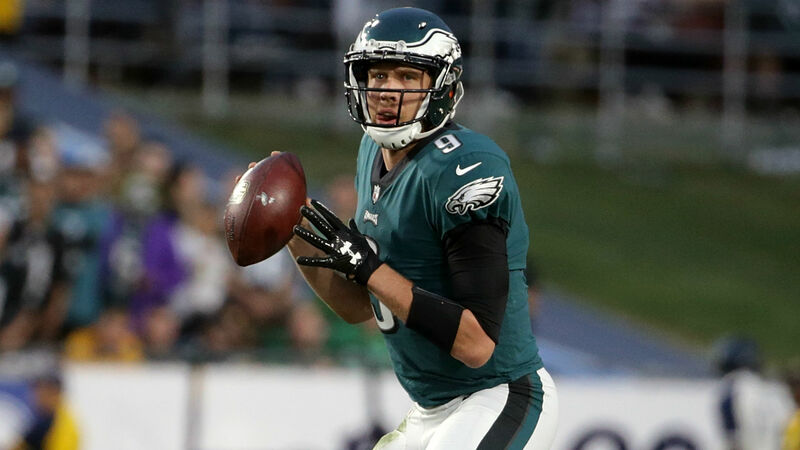 Nicholas Edward Foles (born January 20, 1989) is an American football quarterback for the Philadelphia Eagles of the National Football League (NFL). He played college football at Arizona, and was drafted by the Eagles in the third round of the 2012 NFL Draft. He has also played for the St. Louis Rams and Kansas City Chiefs.